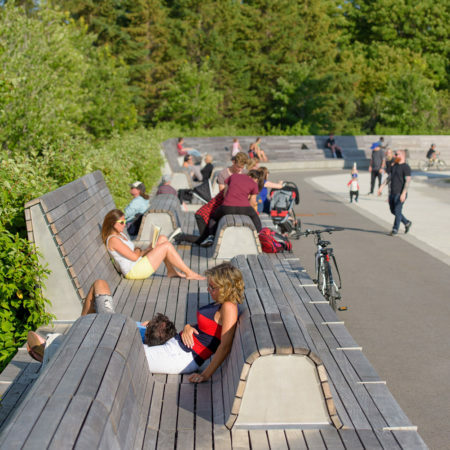 Cutting through the rancor of politics, public debate and the challenge to appease public and private development interests, the design team leveraged the park design and process to create a synergistic and harmonious new relationship with neighbors, tenants, private development partners and the City of Ottawa. 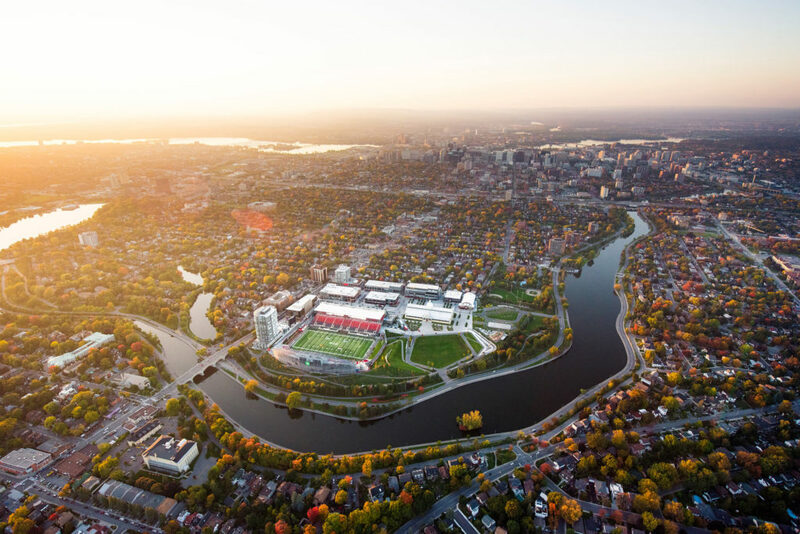 The park design has completely transformed the long-neglected, yet beloved site of the former Central Canadian Exhibition into a new civic-scaled park: a new green heart for Ottawa. 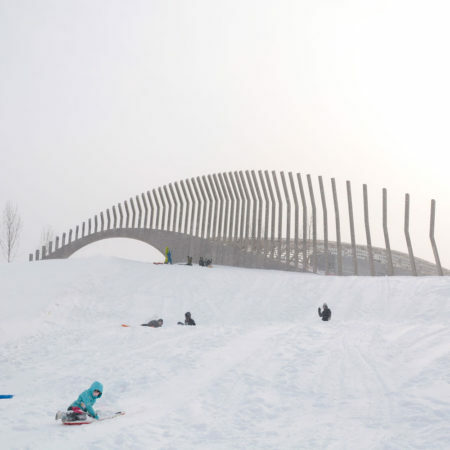 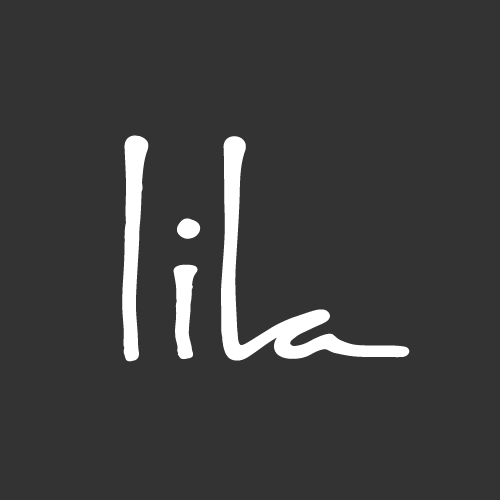 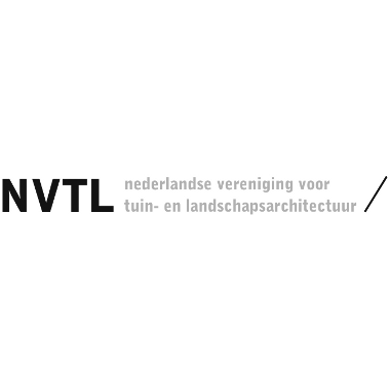 Evolving from the international design competition won in 2010, full construction was completed in 2015. 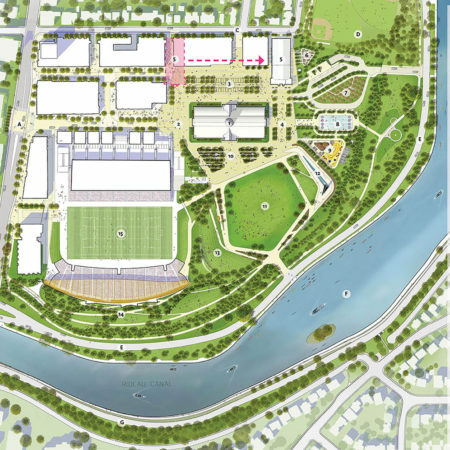 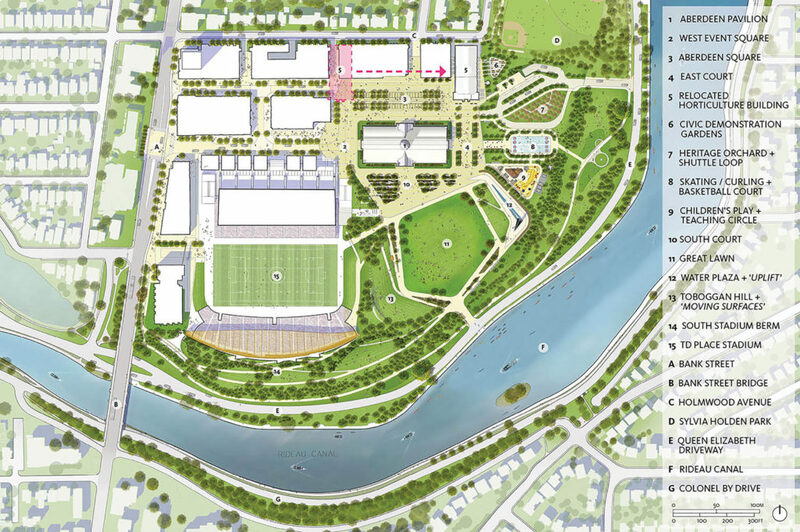 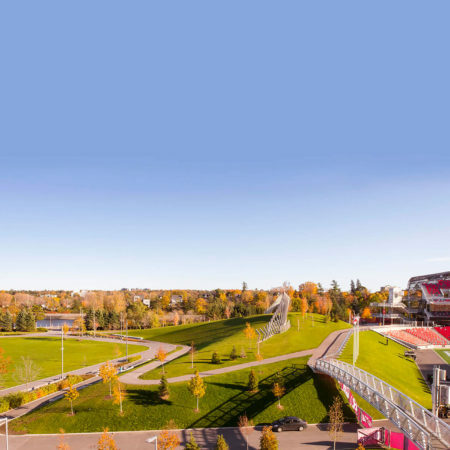 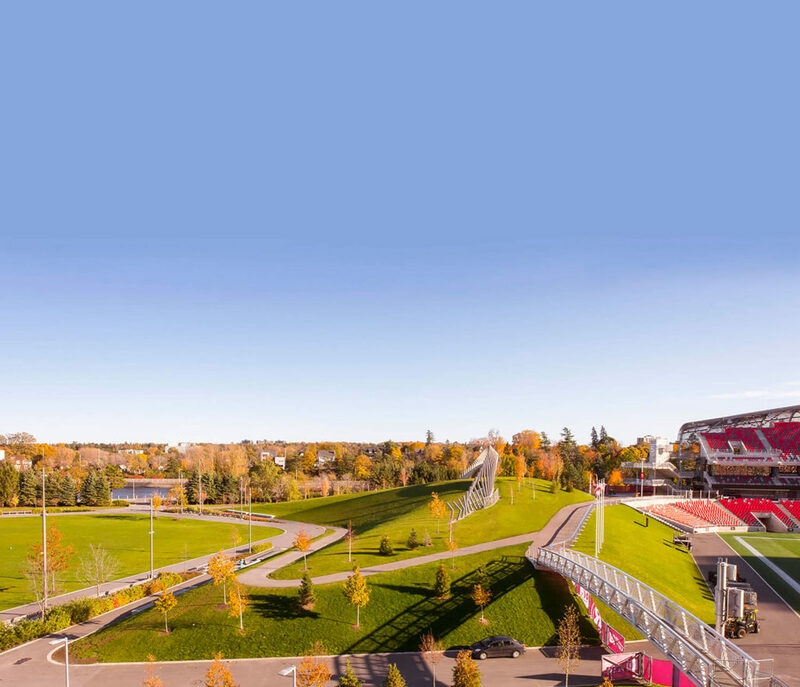 The park comprises 18ac of the overall 40ac mixed use development and stadium renovation project, with $31.5m in public amenities including infrastructure, adaptive reuse of heritage assets, aboriginal peoples interpretive features, and integrated public art. 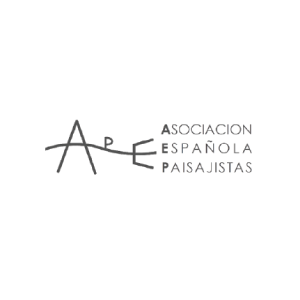 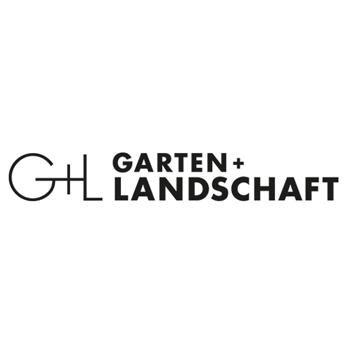 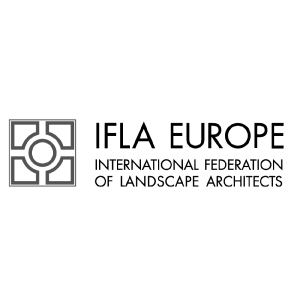 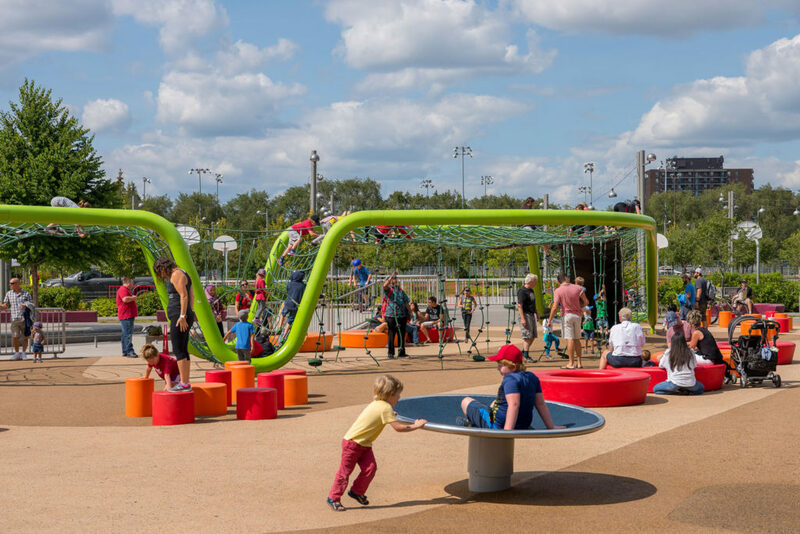 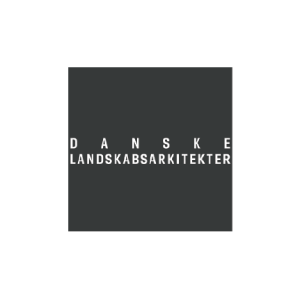 The landscape architect authored the comprehensive master plan for the entire area, was the lead consultant for the park and worked closely with the City to ensure all public realm components met their expectations. 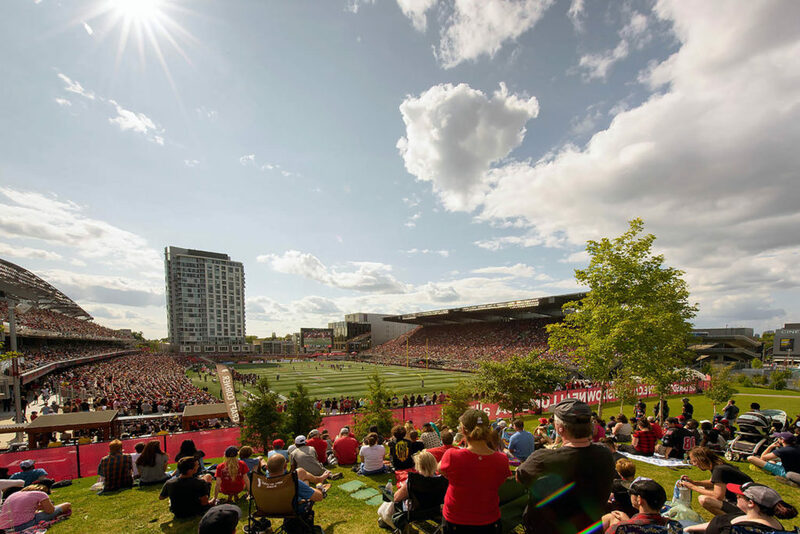 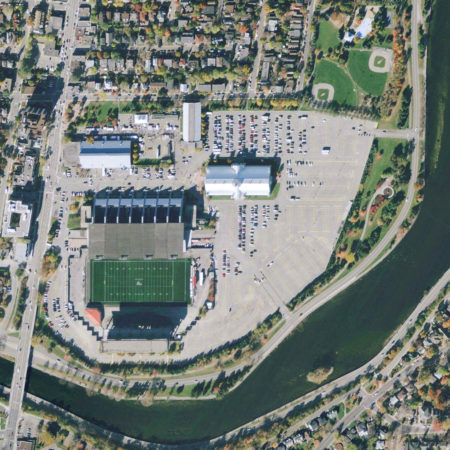 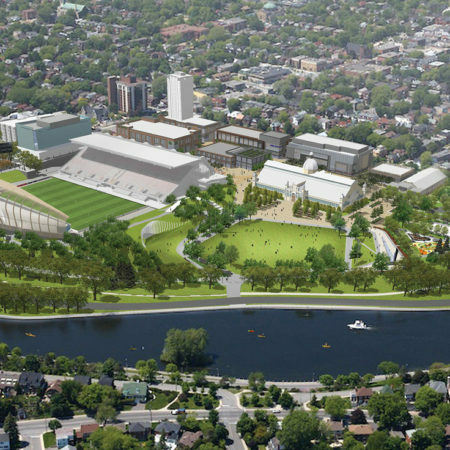 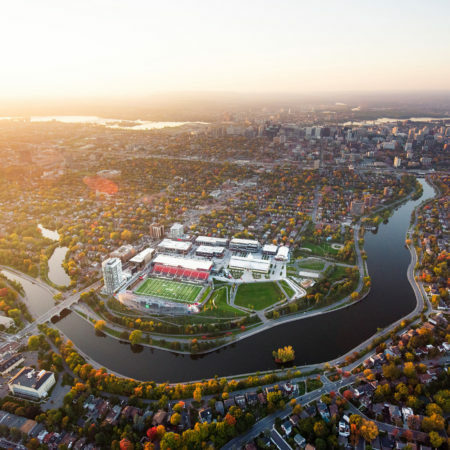 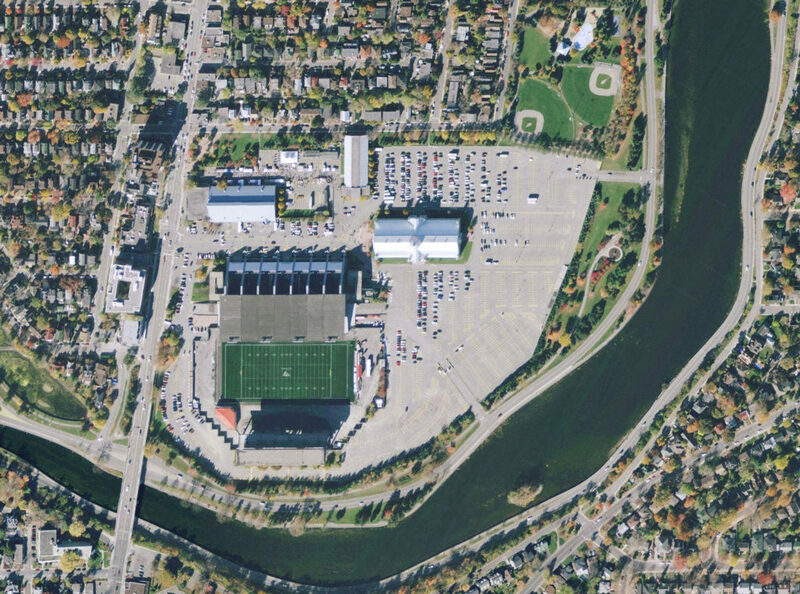 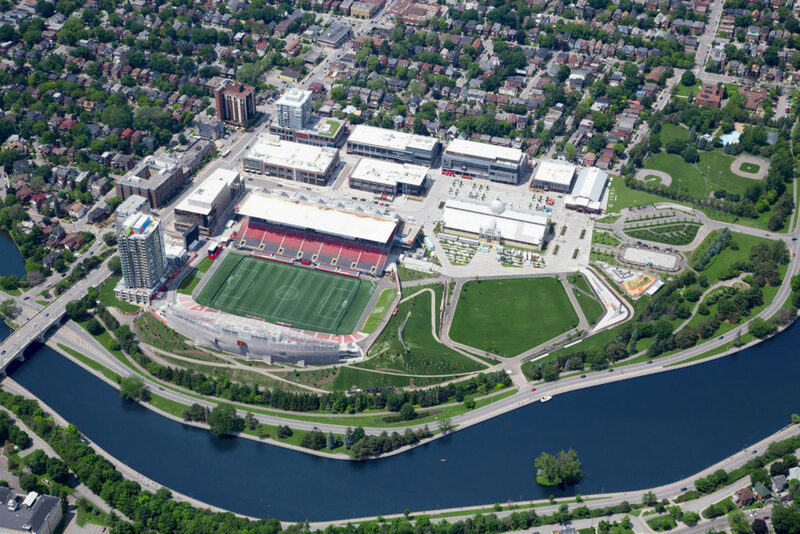 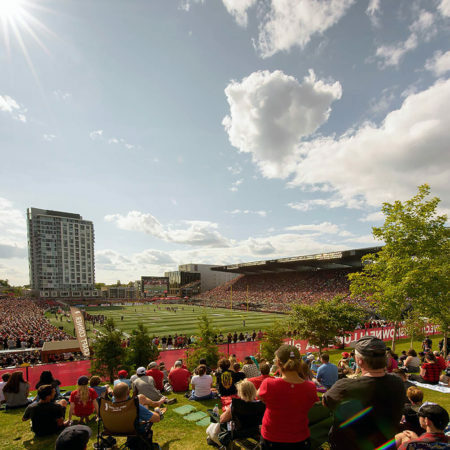 What was a vast asphalt parking lot with a dilapidated underused outdoor sports stadium and only a few remnant buildings from the site’s former glory days, is now a celebrated park seamlessly integrated with surrounding neighbourhoods, new businesses, a rebuilt sports venue and historic federal lands along the UNESCO World Heritage Rideau Canal. 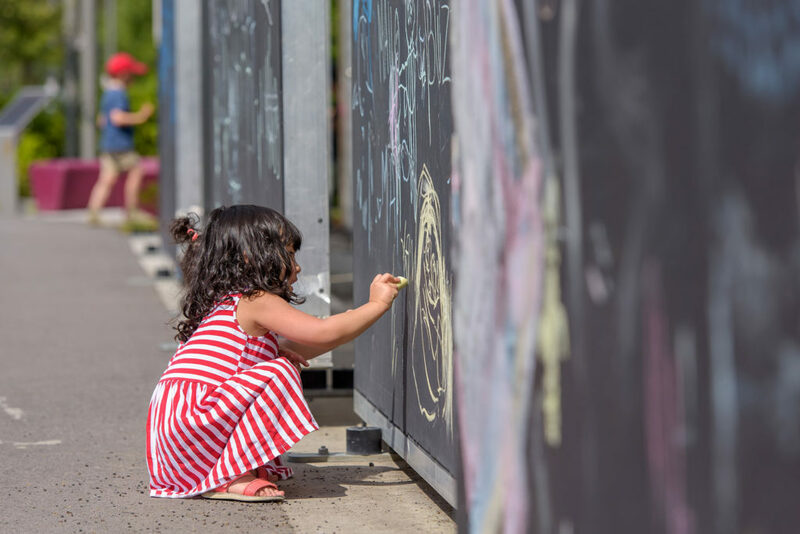 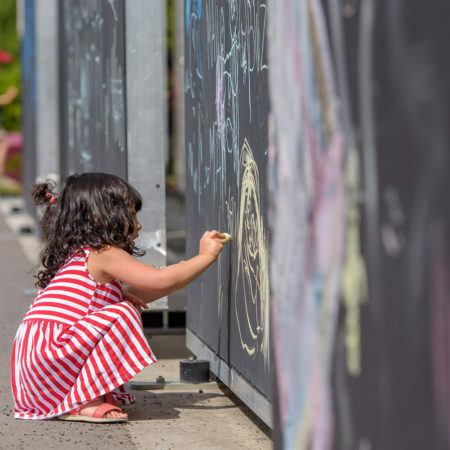 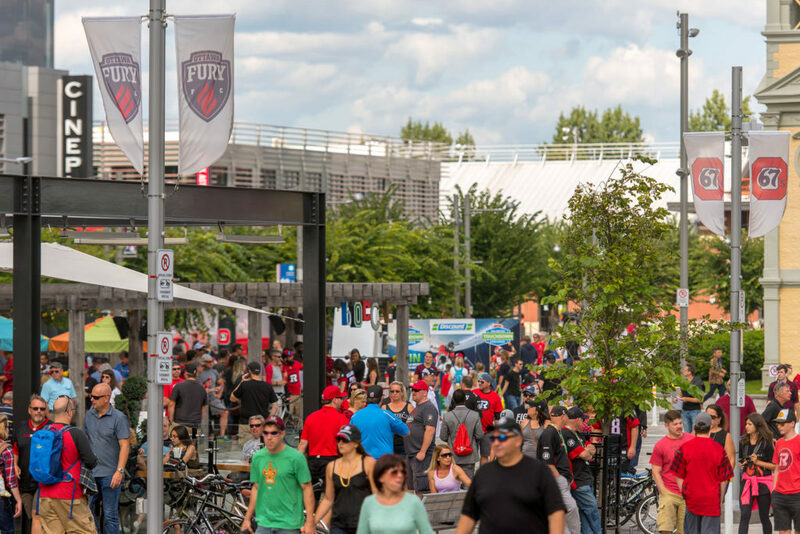 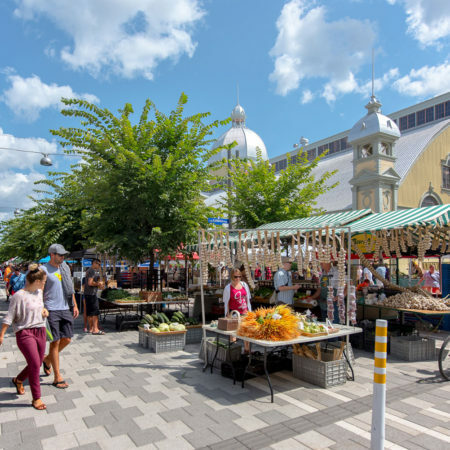 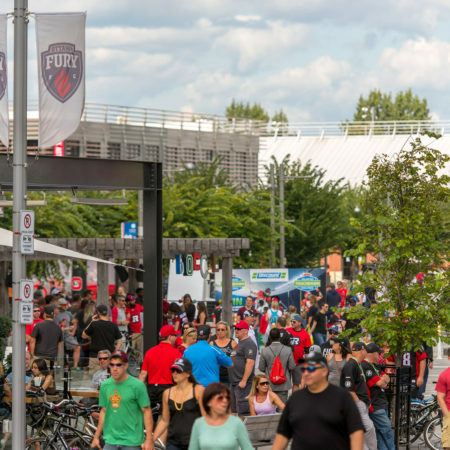 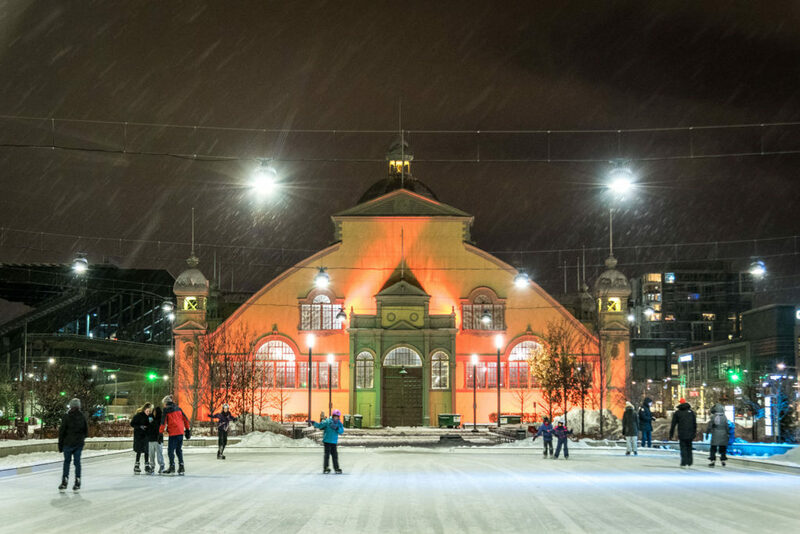 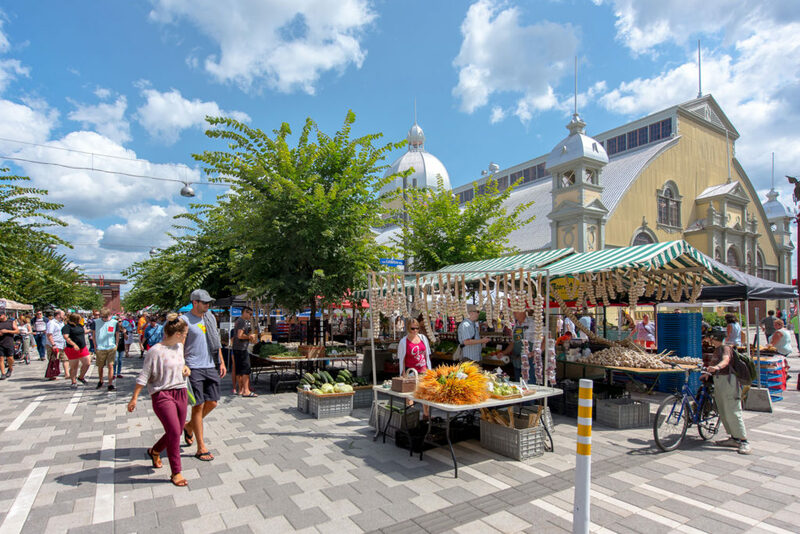 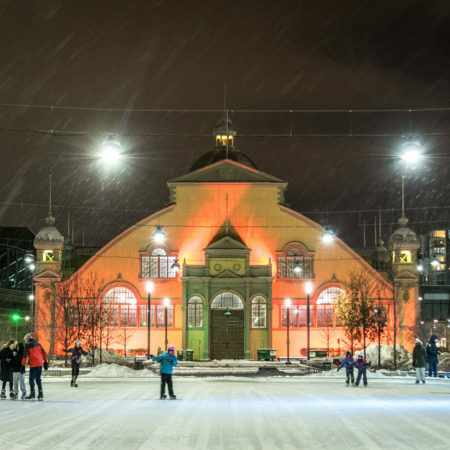 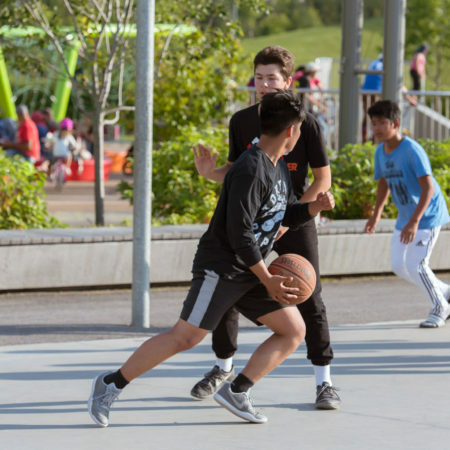 A diverse network of well programmed public spaces interconnected by recreational pathways creates a diverse park experience extending through the new mixed use development to Ottawa’s high street and Rideau Canal. 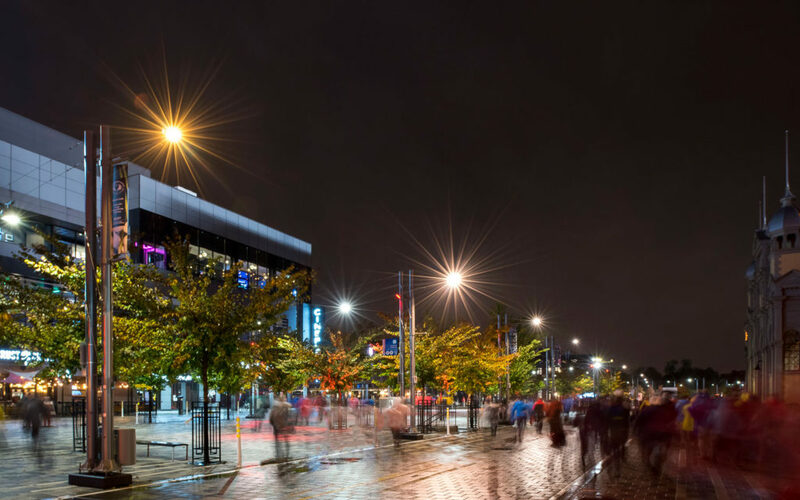 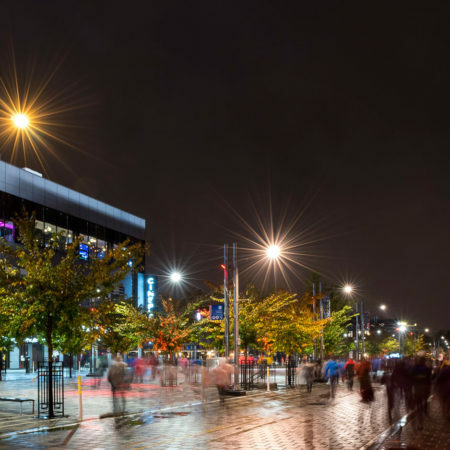 Surprisingly, given the significant space and marshalling requirements for a major stadium venue, as well as vehicular circulation to support various community events, a new theatre, restaurants, bars and mixed use retail that were accommodated within the design, the design still clearly communicates that pedestrians take priority. 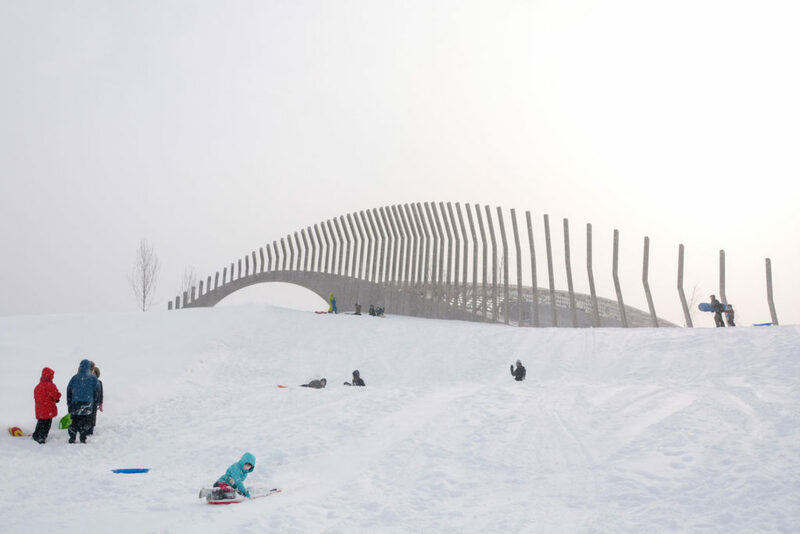 A bus shuttle loop is introduced into the site, dramatically reducing the site’s parking needs. 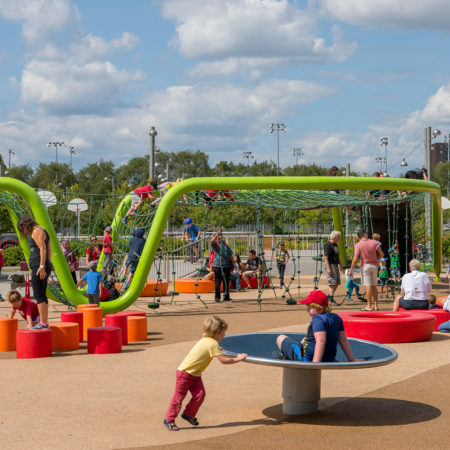 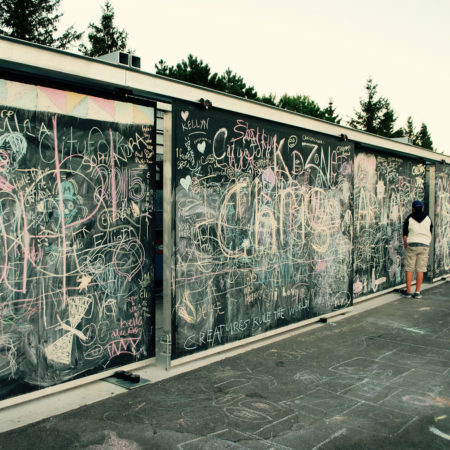 The landscape architects also provided urban design oversight to the larger redevelopment team on behalf of the city to ensure a holistically connected and unified park. 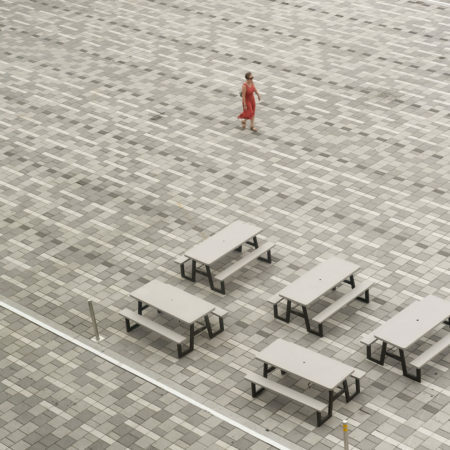 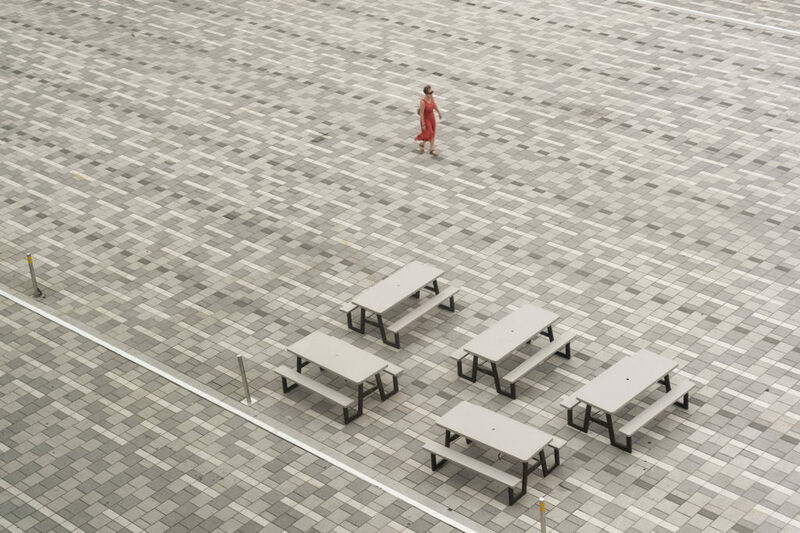 The park is conceived as a constellation of spaces from intimate to grand, all designed as flexible venues for local and city wide use. 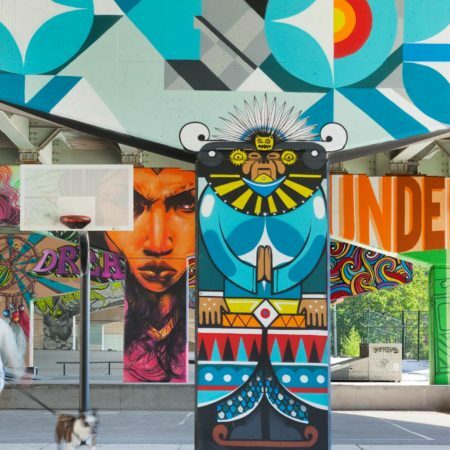 Programming was orchestrated with the park design to reignite the park’s rich history of exhibition, display, and recreation. 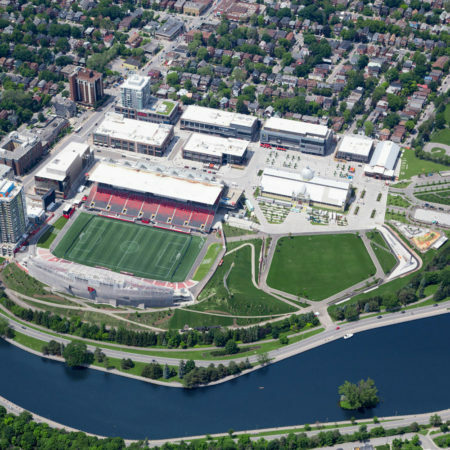 Subspaces include: Event Square, Aberdeen Square (now home to the Ottawa Farmer’s Market), East Court, Civic Demonstration Gardens and Heritage Orchard, Skating and Curling Court, Children’s Garden, South Court, the Great Lawn (accommodating up to 15,000), the Water Plaza (with interactive sculpture Uplift and a 355 ft long multi-functional platform), the Hill (including a toboggan run and digital artwork Moving Surfaces) and the South Stadium Berm (with free viewing into the stadium at gametime). 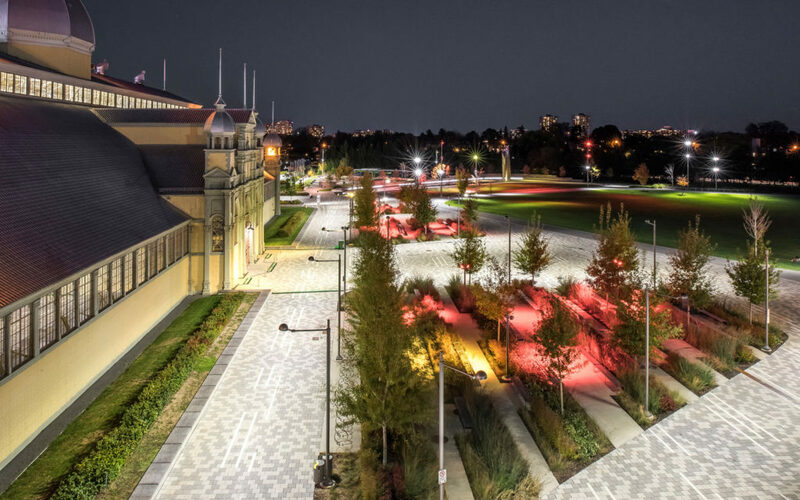 Power, lighting, and water are seamlessly integrated throughout for ease of park programming. 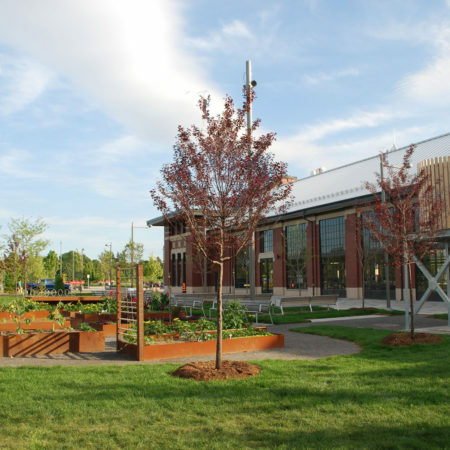 The park includes the preservation and reuse of two significant heritage buildings. 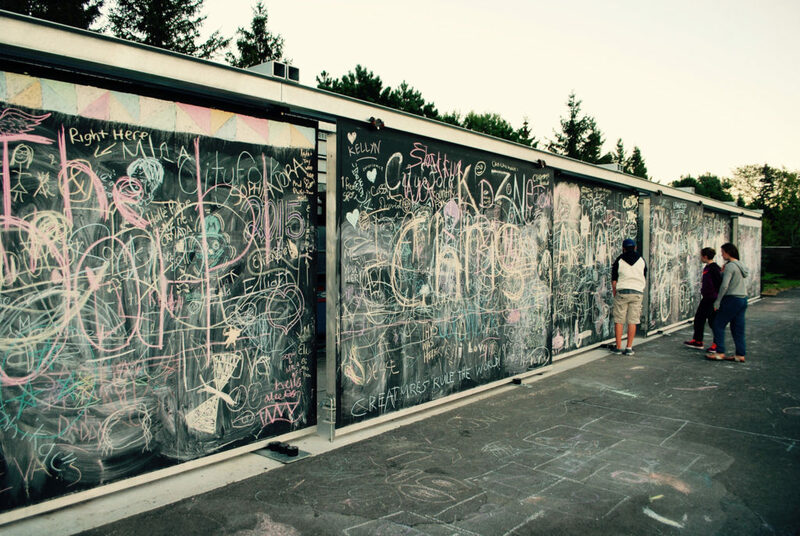 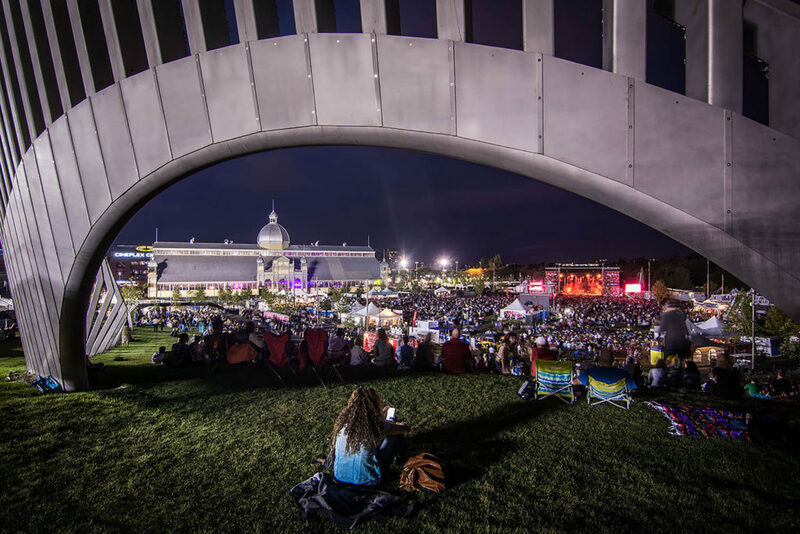 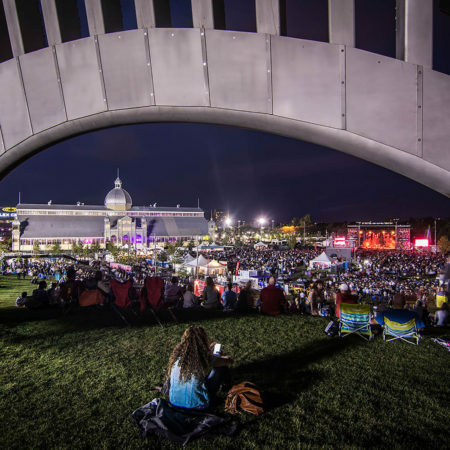 The Aberdeen Pavilion remains the ‘jewel at the heart of the park’ and provides a great ‘tent’ for flexible indoor / outdoor programming, with new thresholds and adjacent plazas on all sides. 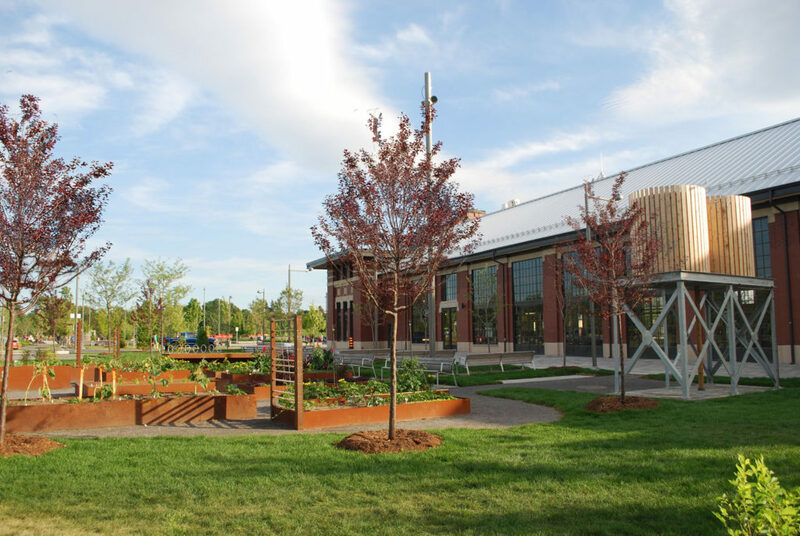 The adaptive reuse of the Horticulture Building includes a teaching kitchen, community hall, and City offices to facilitate the rich schedule of events which have returned to the site. 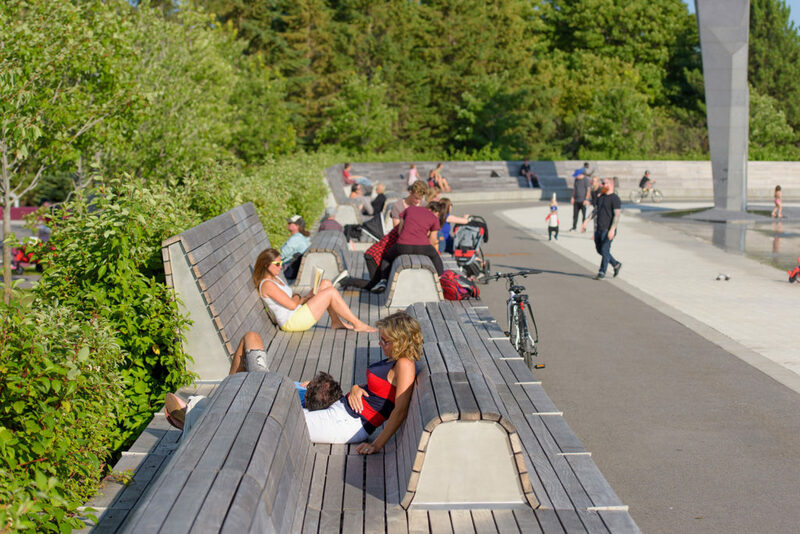 A series of interpretive features, developed through extensive consultation with the Algonquin communities, bring the story of the Algonquin People to the site: a Teaching Circle in the Children’s Garden with seating in the colours of the medicine wheel, surrounded by text of the Seven Grandfather Teachings; ethnobotanical plantings incorporated in the Demonstration Gardens and planting palettes throughout the park; and the Square’s paving pattern inspired by a black ash basketry pattern. 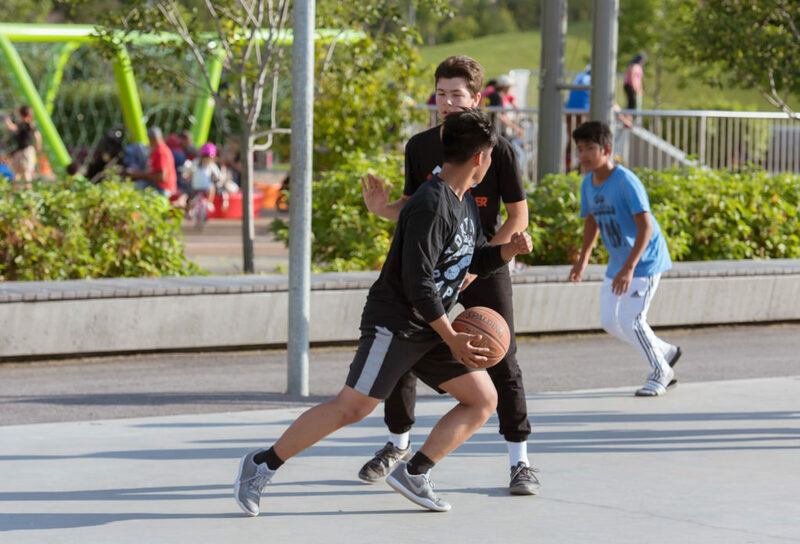 The park is universally accessible with multi-lingual signage including Anishinaabemowin and braille. 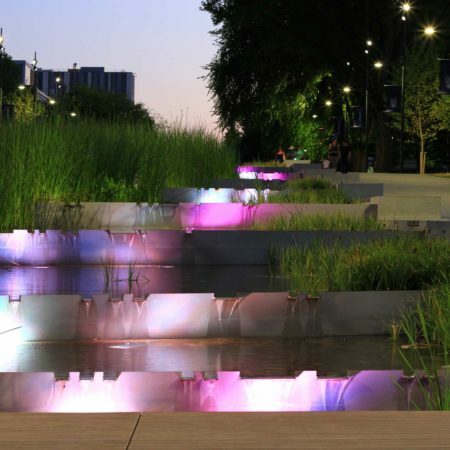 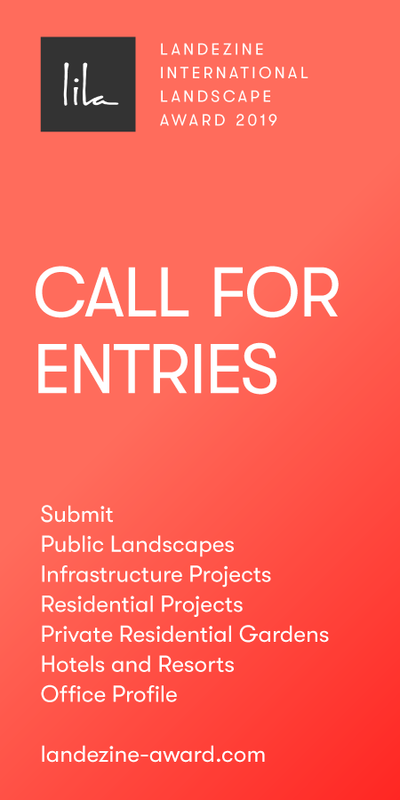 Two major animated public art pieces, Moving Surfaces and Uplift, express the significance of water to the site. 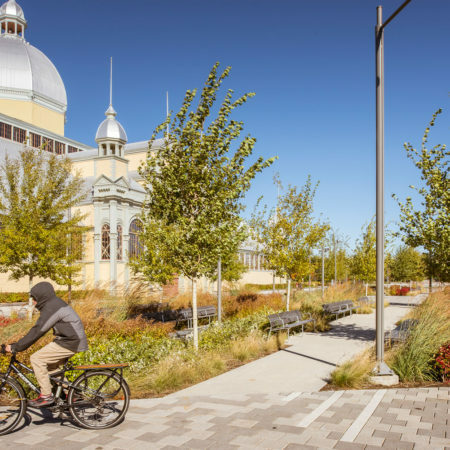 Sustainable water management strategies are incorporated by using the shallow basin of the Great Lawn to retain Stormwater; splash pad water and Horticulture roof runoff is captured for irrigation reuse. 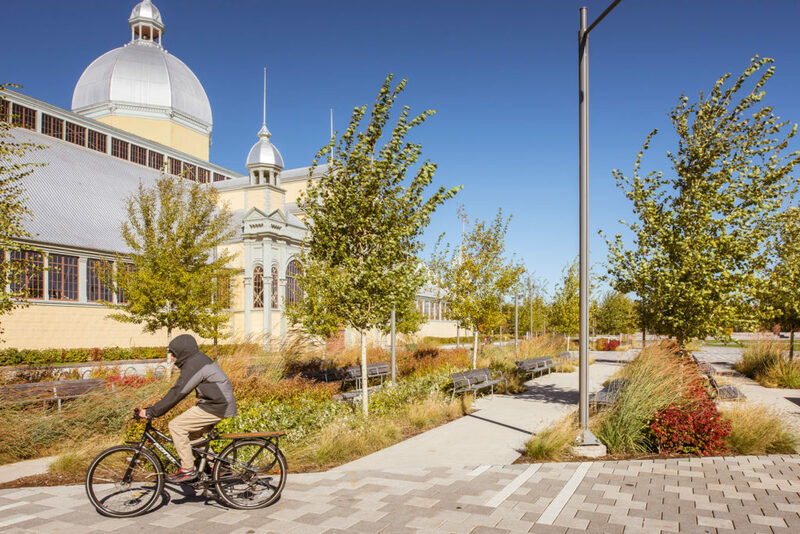 Substantial soil volumes are provided for a significant number of new trees planted across the site to ensure large canopy growth for carbon sequestration, rainfall absorption, and to create shade and habitat. 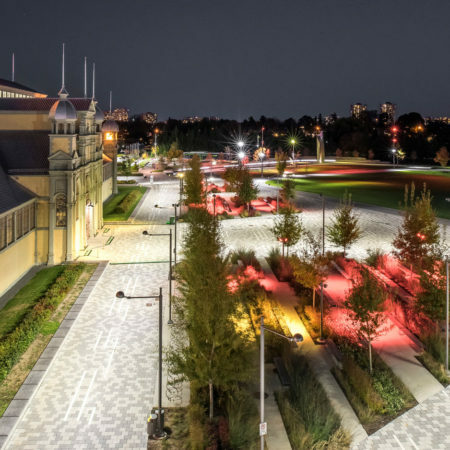 Highly efficient LED lighting and irrigation systems are used throughout the park, and “a philosophy of robust, handsome, and durable” materials and finishes are employed throughout.